Issue 73: Featured Store: Harbor Wind & Kite Co.
Each month we’ll be featuring one of the fine retailers who have been so supportive of Kitelife and other areas of the kiting community…The retailers you’ll find here are established, proven vendors. Harbor Wind & Kite Co. Located for over 20 years here in the Ventura Harbor on the central coast of California with a wide beach, we are Southern California’s favorite kite fliers playground. Harbor Wind & Kite Co. offers the best selection of every major brand by the world’s most famous kite, wind toys and windpower sports designers and manufacturers. Harbor Wind & Kite Co.’s mission is to further the kite pioneering spirit of wind, fun and freedom. 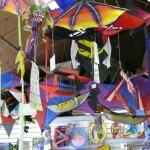 We are dedicated to the affordability, pleasure, growth, and environmental values of the world of kites and wind toys. At Harbor Wind & Kite Co., Our goal is to be competitive on every level: price, top quality, cutting edge designs and friendly service. Our HP KiteKrafters repair, modify and innovate. We promise you a satisfied, safe and secure shopping experience. 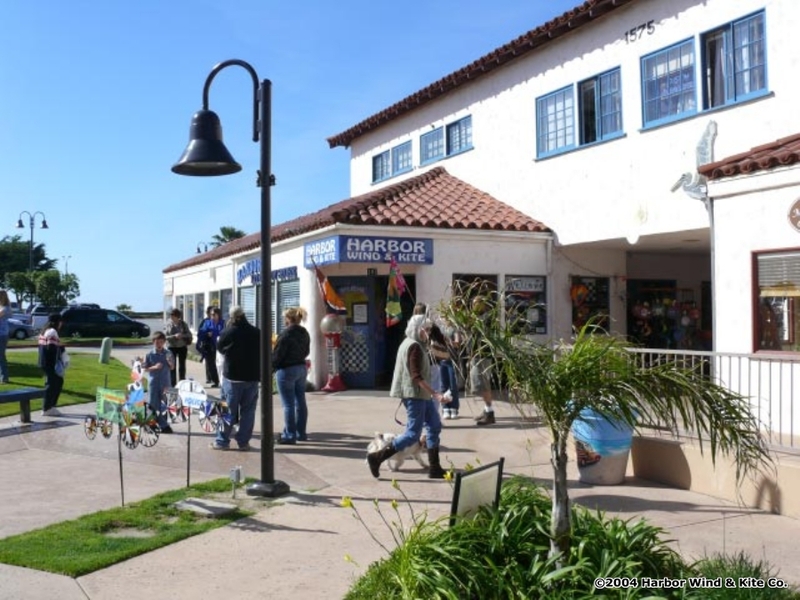 Harbor Wind & Kite Co. in the Ventura Harbor is open 364 days per year. Sunday thru Thursday hours are 10:00am to 6:00 pm and Friday and Saturday 10:00am to 8 :00pm, all Pacific time. Harborwindkite.com on the Internet is 24/7 all year. I try to be at the store every Friday, Saturday and Sunday. During the week, I’m either working on the website or at the HP KiteKrafters shop. 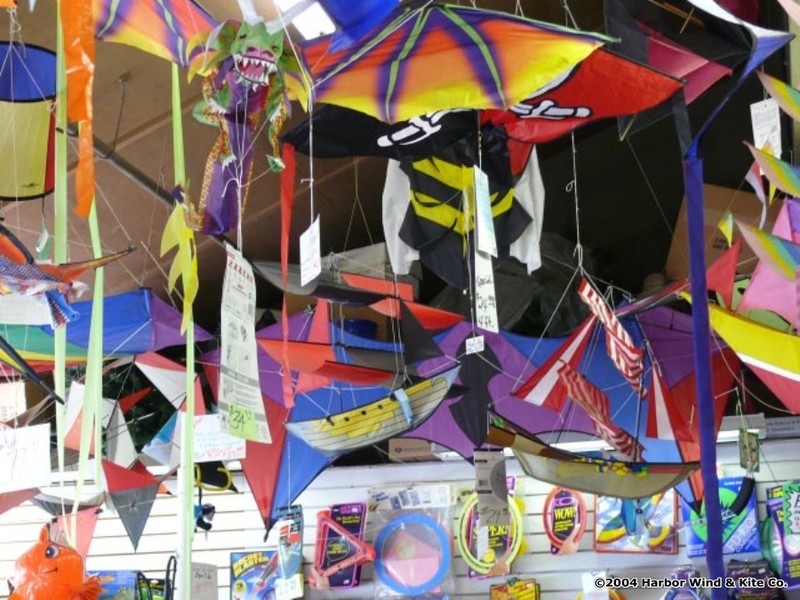 The retail store in the Ventura Harbor shopping complex has 1,290 square feet of floor space with 20 ft. ceilings that allow for a terrific display of kites. The website has another 1,000 square feet of warehouse and shipping space to facilitate the ecommerce business. Additionally we have another 400 square feet of space for the HP KiteKrafters custom and repair shop. The best way to communicate with us is thru the Email. The store opened in the early 1980’s. 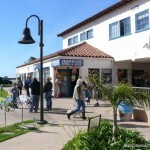 When Harbor Wind & Kite started business, it was the 18th kite store between Long Beach, Ca and San Francisco. Today it is the only full fledged store left on the central coast. Over the years we have innovated our product mix to maintain a competitive presence in the marketplace. The website went online in March, 2009 and is growing monthly and starting to do a healthy amount of business. In 1999 I had a 6 month run on a barter website to test whether or not to build a website. The barter presence was successful, but my decision at that time was to wait until there was a more defined demand for kites. And then 9/11 happened and of course we all know the disastrous economic results that followed. I put my website plans on the back burner until 2008 when I began to see a recovery from 9/11. I started interviewing website masters and during my search of websites specific to kiting I saw the small listing on Kitelife.com for web hosting and design. I contacted John Barresi, webmaster and after a brief conversation, I was sure that I had found the correct person to build my website. Now, almost 2 years later, with a near perfect website and a healthy presence on the internet, all thanks to John’s creative professional expertise and advertising on Kitelife.com I am convinced that I made the right decision. Would I do it again with John? You bet! We are blessed with an authentic Greek restaurant here in the Harbor called The Greek at The Harbor. Greek native Mike and Lynn Mikalatos serve up the most wonderful Greek food anywhere. My favorite is roasted lamb with vegetables that are to die-for. I wash it all down with a Greek red wine called Noussa. My wife Marlene’s favorite is the Blue-Med salad or the Gyro platter. And we always start off with a round of hummus and pita bread and Mike’s special Calamari. After dinner, we enjoy the Greek Belly dancers and the Zorba the Greek dancers. It doesn’t get any better than this folks. Occasionally, we go to the Margarita Villa Restaurant located in an elevated area overlooking the Harbor for Mexican fajitas and the best margaritas in California. Any book by Clive Cussler. He is my favorite writer. Adventure, intrigue and history. I can get lost for hours in his books. As a kid, my favorite comic strip character was Buz Sawyer. He was an international agent, back in the day, that went to China and dealt with the Dragon Lady and all kinds of international espionage. I loved it. Hence my nickname Buz. I adopted it when I was 9 and made it permanent when I was 21. Well, I spend more time at harborwindkite.com than any other place. However, I do enjoy a number of other kite websites. I spend approximately five hours each week perusing other kite websites. Right across the street. We enjoy a wide beach that is several miles long and completely unobstructed. It is one of Southern California’s favorite kite flying playgrounds. The beach here on the Central Coast runs east to west instead of north to south as it does everywhere else along the Pacific coast. That is unique to the approaching onshore flow of wind. We have wind daily for more than 350 days each year with an average wind speed of 13 mph. The constant steady flow of unobstructed wind makes our store and beach the perfect combination for all kite fliers. 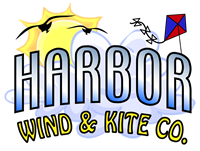 At Harbor Wind & Kite Co. we are all about our motto “Wind, Fun and Freedom”. If it has to do with the wind we are interested and that is our game. We stock more than 600 different air toys and kites and pride ourselves in being able to satisfy the most demanding customer with their specific needs. For almost 30 years we have run the Kite ER room for Southern California and I can proudly boast that to-date we haven’t lost a single patient. Some almost didn’t make it, but our HP KiteKrafters pulled them through and they survived to fly another day. We have had a long running and successful relationship with Ed Skow, an aerodynamic genius who has mastered every wind powered air toy from sail planes, hang gliders to kites of all types. He is an award winning pilot and is available for instruction on all of the above. Almost every weekend we have an open forum either in the store or on the beach and everyone is invited that has questions about kites. The forums are lively and exciting. As a kid, my brother and I built kites every spring and summer. We used brown paper sacks, newspapers and flour paste until one year we discovered that “butcher paper” with its paraffin coated backside made excellent kites. We made and flew kites every time the wind came up. That was our major pastime. As young adults, we both went into the music business. My brother was a pioneer recording studio designer and builder in Nashville “Music City USA”, worked for Columbia Records and I was in artist promotion, marketing and record production with the “Grand Ole Opry” and Capitol Records winding up in Hollywood, CA. We both had very successful magical careers in the music business. Early in my career I was public relations manager for the Grand Ole Opry in Nashville, Tennessee and was closely associated with the successful country artists, Roy Acuff, Hank Williams, Minnie Pearl, Flatt & Scruggs, Patsy Cline, Ernest Tubb and Sonny James. I co-founded the Music City News Newspaper with country music star Faron Young and served as its publisher and editor-in-chief. During my tenure, Music City News was the first and most successful newspaper devoted entirely to the country music industry. I then joined Capitol Records and held various positions including National Promotion Manager, National Marketing Manager, International Marketing Manager, directing the marketing activities of 23 Capitol Records affiliates around the world and Executive Director of A&R at Capitol Records, Hollywood, California. I was fortunate to be chosen to head the team that created Apple Records and served as liaison to the Beatles. At Capitol, I had the good fortune to be responsible for the success of many Capitol and Apple artists including the Beatles, The Lettermen, Merle Haggard, Buck Owens, Bobbie Gentry (Ode to Billie Jo), Linda Ronstadt, Peggy Lee (Is That All There Is? ), Lou Rawles, Al Martino and Wayne Newton. In the mid-seventies, I founded Music Marketing International, Inc. and its client roster included Capitol Records of Canada, Chelsea Records, which I co-owned with Wes Farrell, distributed by RCA, MGM Records, General Recording Corporation, Anne Murray ( “Snow Bird” ), Pat Boone, Dale Evans and Shirley Jones. I specialized in corporate and celebrity branding, strategic planning, market analysis and product management. In the early 80’s I semi-retired, moved to Ventura, CA, acquired the kite store and seriously devoted myself to my favorite childhood activities, building and flying kites. My grandfather G.T. Wilburn owned and operated a wheat and corn grinding mill and general store in Fall River, Tennessee. I grew up in his store and was deeply influenced by his way of serving people and business work ethics. 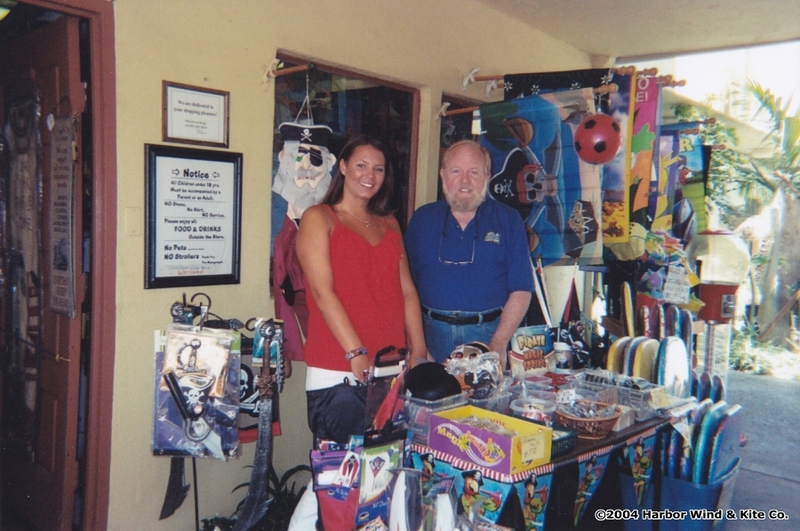 He used to tell me, “if a person is willing to spend his hard earned money with you, give him/her a square and fair deal and just a little bit more and you will always have customers.” We practice the wisdom of that philosophy each and every day at Harbor Wind & Kite Co. This was a bittersweet sale. A gentleman in his early sixties came in one Saturday with his two sons and son-in-law, all in their late twenties. Earlier that day, they had buried his daughter (the sons’ sister and his son-in-law’s wife) and he wanted to take the boys kite flying on the beach to soften their grieving. He purchased four stunt kites and they went out on the beach for several hours. The wind was near perfect that day and they all came to the store later and expressed their appreciation for the help they had received from the store personnel. Needless to say, I was honored to assist them in their hour of need. Interior of store Having a 20-30 year old relatively new parent bring in his 3 – 4 year old child into the store and show him/her the many kites on the ceiling and say, ”when I was the same age as you, your grandfather used to bring me to this store.” It is extremely satisfying and makes chill bumps. I don’t have a favorite issue as such, but I do have favorite topics. And those are the ones that share knowledge and secrets about the innovative ways of building and flying kites. I especially enjoy reading anything about kite festivals. 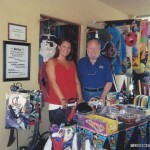 This entry was posted in 2010, Featured Store, Issue 73 (Jul/Aug), Kite Columns, KL Archive and tagged harbor wind and kite, store.